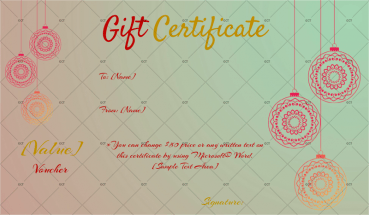 Here is a Christmas gift certificate with the perfect amount of decorations and colors to send to someone. 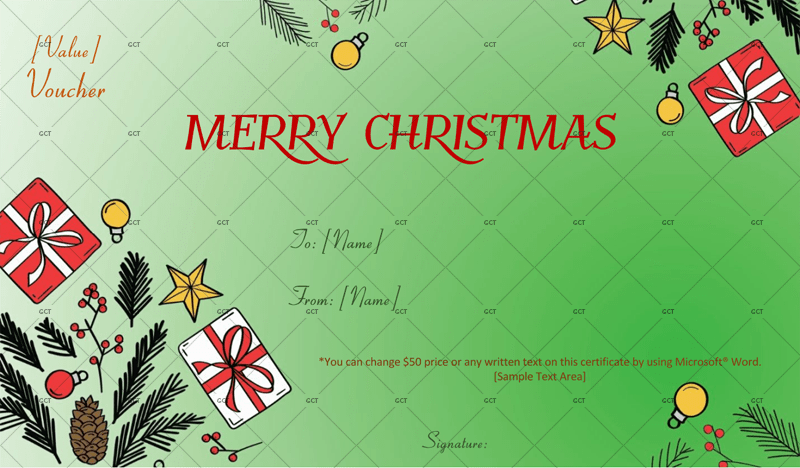 The background color are shades of green that turns near white at the top left corner. 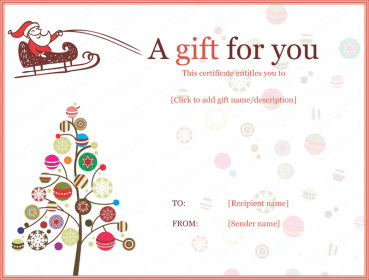 Decorating the rest of the corners are simple but ornate green pine needle leaves, red and white present boxes, yellow stars, brown pinecones, red and yellow ornaments, and twigs of red berries. 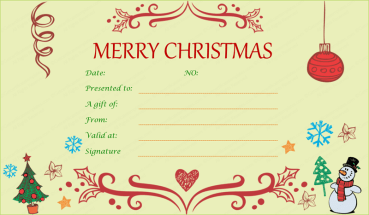 In big red letters are the words, ‘Merry Christmas,’ and on the left corner you can add the value and voucher that is colored in orange font. 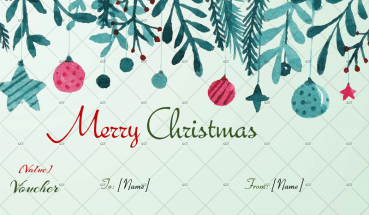 Below the red Merry Christmas letters are the words to and from. 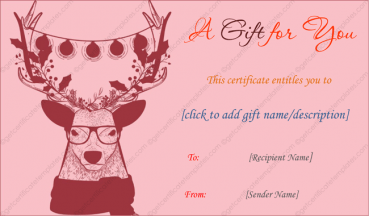 This allows you to add your and their name and right below it is a space to write your signature as an extra detail. 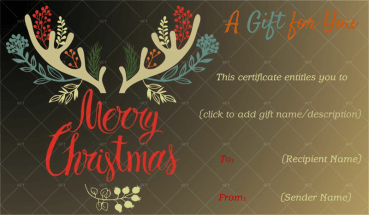 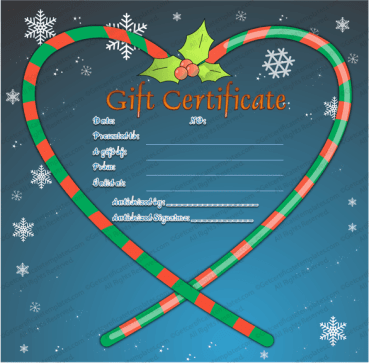 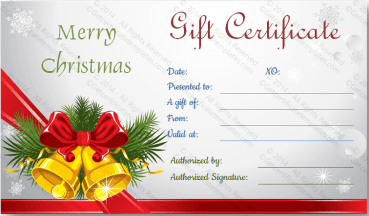 You can use Microsoft Word to edit and remove the text and then you can enjoy a custom Christmas gift certificate.